With its global reputation for running top nights, Defected Records is as renowned for its club events as for the quality of the music it releases. The Defected In The House parties at London’s Ministry of Sound are essential for house fanatics, and the latest instalment looks set to be another huge night in the capital city. 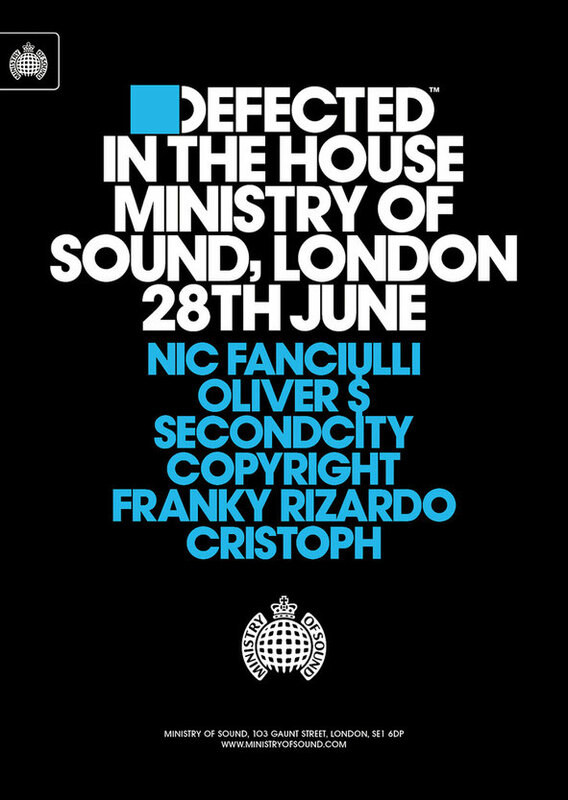 On Saturday 28 June, Defected In The House welcomes Nic Fanciulli, Oliver $, Secondcity, Copyright, Franky Rizardo and Cristoph, reinforcing the label’s commitment to both championing up-and-coming talent as well as working with some of the very best in the business. Headlining The Box, Defected welcomes world-renowned DJ, Grammy-nominated producer and Saved Records founder Nic Fanciulli for his first ever performance for Defected In The House. Celebrating the release of ‘Defected Presents Nic Fanciulli In The House’ – which drops on Defected Records this July – Fanciulli was one of the last DJs to break through to international acclaim on the strength of his DJing alone, so expect an expertly constructed set of house and techno on the night. 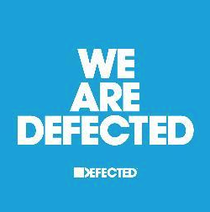 The Box also plays host to two further Defected debutants; Oliver $ and Secondcity. Oliver $ has just released ‘Pushing On’ alongside Jimi Jules on Defected Records, a track that has garnered huge support at club, it’s been both a Traxsource and Beatport #1 and was also named Pete Tong’s ‘Essential New Tune’ on its first weekend of release. Secondcity is the man behind ‘I Wanna Feel’ – currently on course to possibly becoming one of the summer’s biggest house anthems – likely establishing the UK artist as one to watch for 2014. The line-up in the 103 is pure house, and pure Defected. Copyright have been cohorts of the label for the best part of a decade, while Franky Rizardo has become one of Defected’s most popular touring and recordings artists in his years for the label. Completing the line-up is Cristoph. As one of the first artists to release on Defected’s sister imprint DFTD, Cristoph epitomises the sound of the label with his chunky beats and groove-led productions, and was recently announced as fronting the label’s first ever mix album, ‘DFTD VLM01 mixed by Cristoph’, which is out now.